President Obama isn't exactly the most popular guy in the corridors of finance. But one big Wall Street billionaire thinks it's time to stop bashing Obama. Because he's done a great job. "The strides we've made the last eight years are pretty amazing," billionaire hedge fund manager Jim Chanos told CNN's Poppy Harlow this week from his midtown Manhattan office. That might be a hard thing to admit for many on Wall Street who still wince when they remember Obama dubbing them as "fat cat bankers" in 2009. But Chanos says he has only one message for them: "What do you have to complain about?" 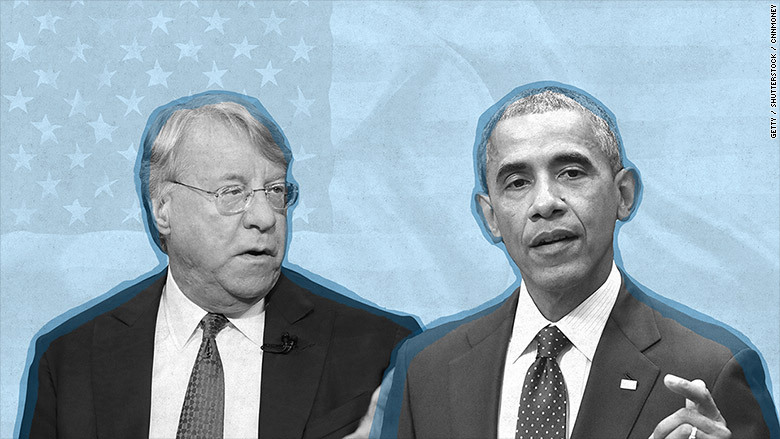 Chanos was a major bundler for Obama's re-election campaign, helping to raise more between $200,000 and $500,000, according to OpenSecrets. Chanos rattled off a laundry list of things that reflect the Obama economy's success: The country is nearing full employment, the stock market is near all-time highs, corporate profits have shattered records, there's universal health care, gas prices are near $2 a gallon, and the federal deficit has shrunk. "Of all the major economies right now, we're the place to be," Chanos said. As an investor, Chanos isn't one to follow the crowd. 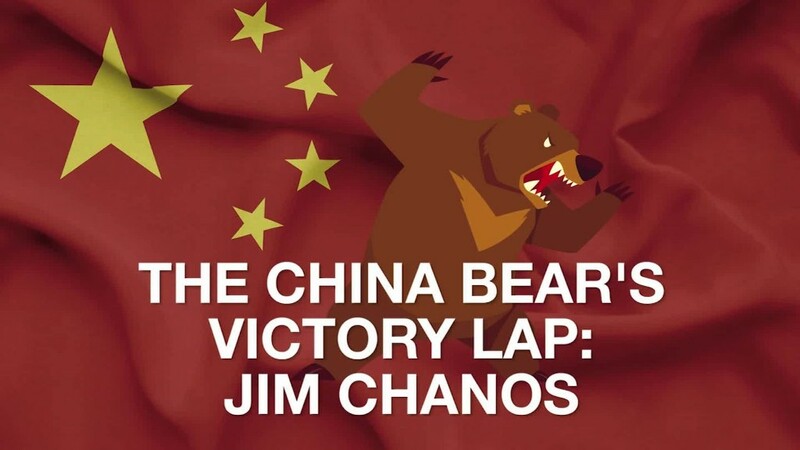 He correctly predicted the collapse of Enron and also China's current economic travails. He's also not your traditional investor. He makes money by betting on the misfortune of others. Right now, the founder of Kynikos Associates is down on anything that touches China and even Elon Musk's companies. But he's pretty bullish on America. 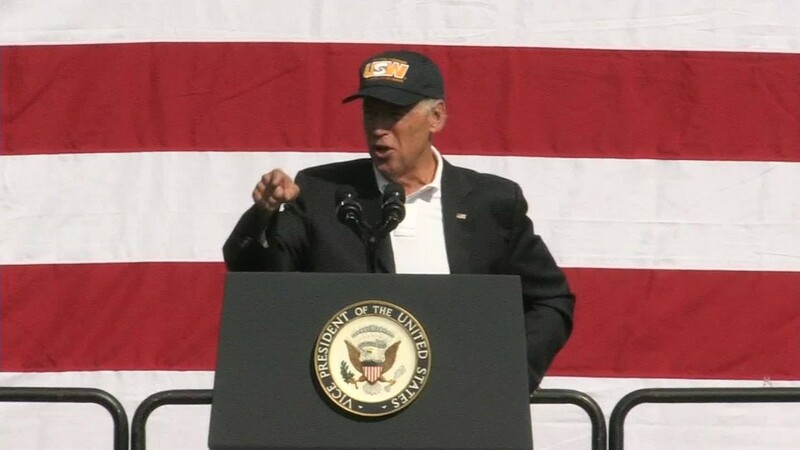 Chanos believes Vice President Joe Biden might be the best man to tackle those obstacles. "I'm certainly hoping he runs," Chanos said of his friend. "He's a candidate that actually can cross the aisle. Some of my Republican friends might even consider voting for him." And Chanos agrees with another presidential candidate Donald Trump, at least on one issue. Trump has said hedge fund managers are getting away with "murder" by paying lower taxes. The Republican presidential candidate has proposed leveling the playing field by abolishing "carried interest," a tax loophole that lets investors pay lower taxes on their profits. Chanos agrees that the rich need to pay more in taxes and the loophole needs to be closed. But that doesn't mean Chanos supports Trump for president.